A powerful reinforcement to bolster DISH Network's fleet of direct-to-home television broadcasting satellites climbed into orbit Saturday. The 9-hour ride for the EchoStar 15 spacecraft atop a Russian heavy-lift Proton rocket and Breeze M upper stage kick motor began with liftoff from the Baikonur Cosmodrome at 1840 GMT (2:40 p.m. EDT). Soaring up and away from the desert steppes of Central Asia, the booster's lower three stages fired in successful fashion and each dropped away as prescribed during the first 10 minutes of flight. The Breeze M then ignited to propel itself and the attached 12,150-pound payload into an initial parking orbit before reaching the eastern coast of Russia. An hour trip over the Pacific and bottom tip of South America culminated with the rocket firing to life a second time while flying above the Atlantic and Africa to ascend into a higher intermediate orbit. A two-hour coast around the world followed before the Breeze would light its engine again over South America, shut down briefly to jettison the now-depleted donut-shaped auxiliary fuel reservoir, then re-ignite over the Atlantic to achieve a highly inclined elliptical orbit stretching 22,250 miles in altitude. Five more hours of coasting away from the planet occurred over Europe and Asia before reaching the planned point above the Indian Ocean for one final propulsive push by the rocket delivered EchoStar 15 into geosynchronous transfer orbit. The complex launch maneuvers were designed to release the satellite into an orbit with a high point of 22,236 miles, a low point of 3,747 miles and inclination of 18.7 degrees. Spacecraft separation from the rocket came at 0353 GMT (11:53 p.m. EDT) to mark a successful start to the satellite's life serving the DISH Network. "The launch of EchoStar 15 demonstrates DISH Network's continuing commitment to delivering the most high-quality HD programming at the best value," said Tom Cullen, executive vice president. "DISH Network is the only pay-TV provider that offers 'HD Free For Life' to every customer, and we're proud that EchoStar 15 will soon allow us to provide even more high definition channels for free." In the coming weeks, ground controllers will command the satellite's own engine to circularize the orbit at 22,300 miles above the equator where the craft will match Earth's rotation and appear parked at 61.5 degrees West longitude to view the U.S. Built by Space Systems/Loral, the satellite is equipped with 32 Ku-band transponders to relay high definition television and other features directly to the homes of DISH Network subscribers. 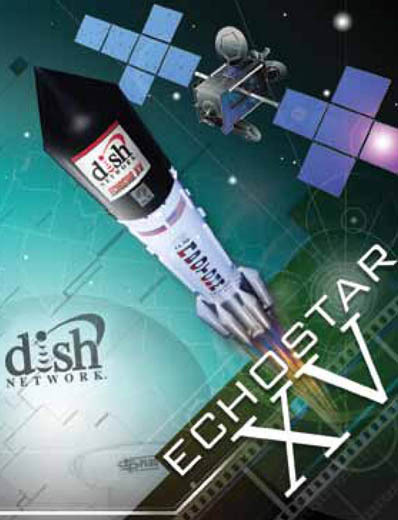 "The EchoStar 15 satellite will be used by DISH Network primarily to provide programming service to the eastern half of the U.S. It's an important satellite because it has more power, which results in greater reliability," said Rohan Zaveri, EchoStar's vice president of space programs. 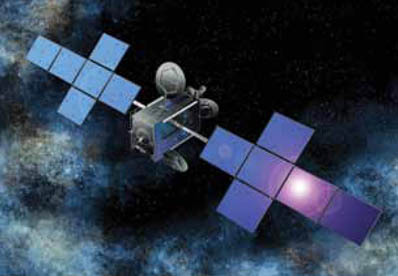 "The EchoStar 15 satellite is a very high-powered satellite -- in excess of 20 kilowatts. That provides a lot of operational flexibility to our EchoStar customer," said Keith Marco, Space Systems/Loral's executive director for EchoStar 15. "We plan to use about 300 watts of power per channel. That's approximately a 20 to 30 percent increase in power," Zaveri added. "The increased power will also allow DISH to broadcast a few more channels than what's currently being offered." The pay TV firm, based in Englewood, Colorado, utilizes a dozen orbiting spacecraft to transmit services to 14 million customers. EchoStar 15 joins two older satellites at the 61.5-degree slot: EchoStar 3 launched in October 1997 and EchoStar 12 launched in July 2003, both using ILS Atlas rockets from Cape Canaveral, Florida. "(EchoStar 15) is going to provide quite a bit more power and capability that I think will be a huge benefit to the viewers," Zaveri said. The opportunity to launch Saturday came sooner than originally envisioned for the EchoStar 15 project, which was something the combined rocket and satellite teams took advantage of. "We at SS/L committed to a very aggressive schedule for EchoStar 15 and still managed to deliver ahead of that schedule, enabling EchoStar to procure an earlier launch," Marco said. The Russian aerospace firm Khrunichev, based in Moscow, built the Proton and International Launch Services of Virginia managed the commercial rocket flight. 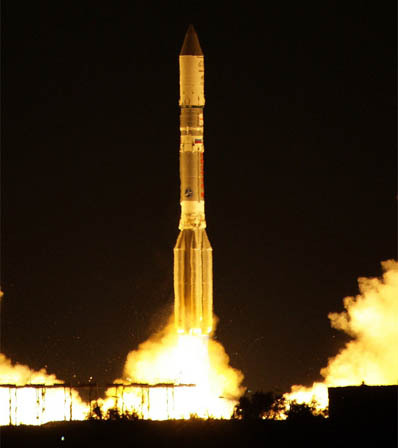 This was the 358th Proton launch dating back to 1965 and the seventh of 2010. For marketer ILS, the mission represented the 61st commercial flight since 1996 and fifth this year. The Proton has averaged a successful launch in each of the last 24 months. The next mission with the first SkyTerra mobile communications satellite is planned for mid-August.